The Ishida Uni-5 Scale Label Printer features a large 7″ colour touch screen that makes operating the Ishida Uni-5 remarkably easy. The display consists of a multi-window layout for tare, weight, unit price and total price positioned vertically on the right-hand side of the display, PLU name window and icons to easily identify the scale connectivity status/printing mode/USB port. Up to 3 sizes of pre-set keys may be programmable with the small size capable of accommodating up to a maximum of 20 freely programmable pre-set keys on a single page. The Uni-5 can store up to 99 pages and each can be set as a category, group, function, operator, or PLU page. Furthermore, the operator display may be utilized to view virtual receipts, open tickets, visualize totals before printing and easy label formatting. The sharp, bright, grayscale 7″ LCD with backlight on the Ishida Uni-5 scale label printer helps attract customers’ attention. Brightness is software adjustable and to further reduce power consumption, standby mode may be set to trigger automatically. The customer display can show scrolling/ flashing advertising messages and up to 6 images per A/D message with variable selectable speeds. A/D messages may also be set to switch to full-screen in order to ensure maximum visibility. 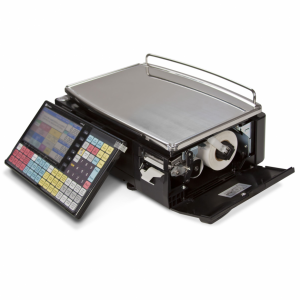 In addition to programming directly through the scale, the Ishida Uni-5 Scale Label Printer offers a scale management software to program, modify, and manage your PLUs, label designs, keyboards, and other important scale programming. The Ishida UNI-5 is also 100% compatible with E-Plum Scale Management Software from Invatron. 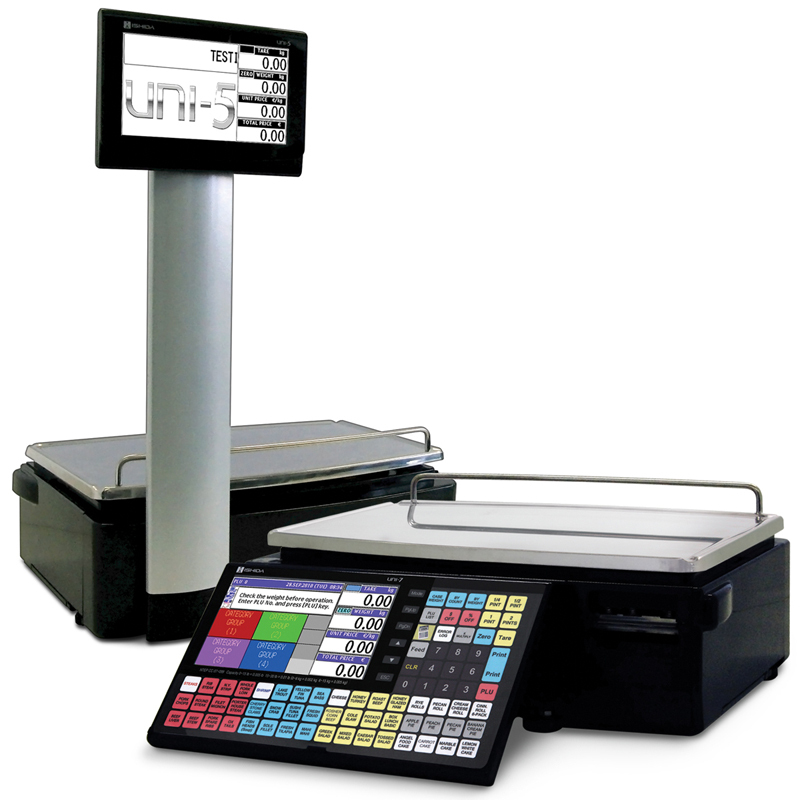 Using E-Plum, one or many scales can be integrated into the Catapult Retail POS System, and scale items can be added, edited, and managed from the POS, without the potential for duplication or transposition errors between systems. This configuration is ideal for medium to large sized grocery and fresh food stores.